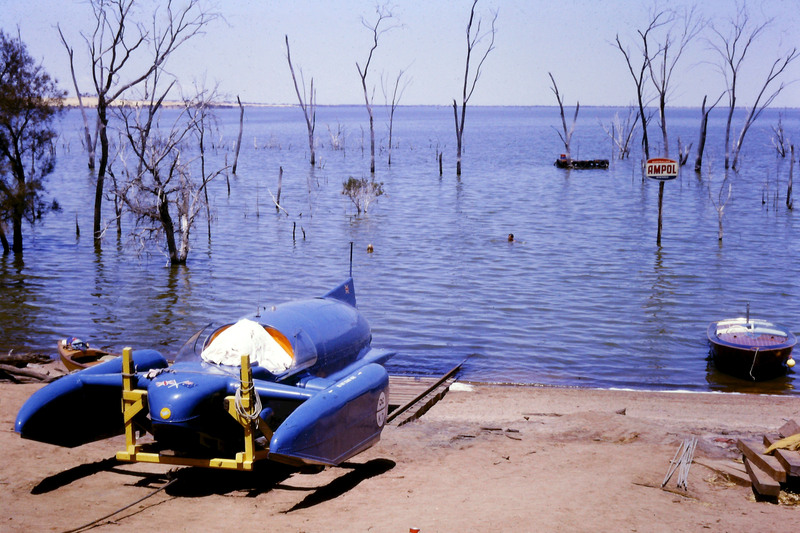 Together with my Husband and 3 children I was actually at the Lake when Donald Campbell in his Bluebird k7 hydroplane broke the world water speed record. If my memory is right it was December 31st. 1964 and the record had to be broken in 1964. We arrived at the scene about lunchtime and the weather was very windy. After a while a thunderstorm appeared to be developing and when that happens the wind drops and there was much anxiety and haste to get the lake ready, (birds had to be moved) and the boat launched. We actually saw him take-off and heard the excitement when he returned; we were actually within hearing distance of what was said. 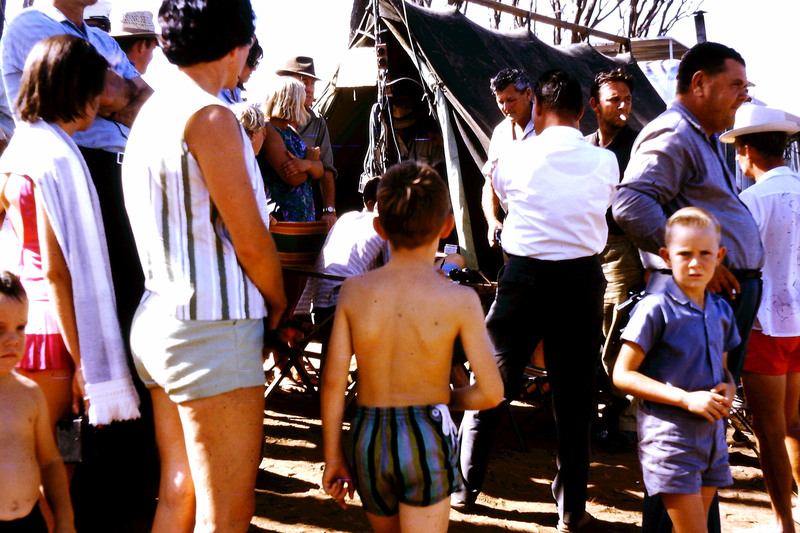 It is 50 years ago, I don’t think there was any 2-way radio and I am not sure of the communications at the time. 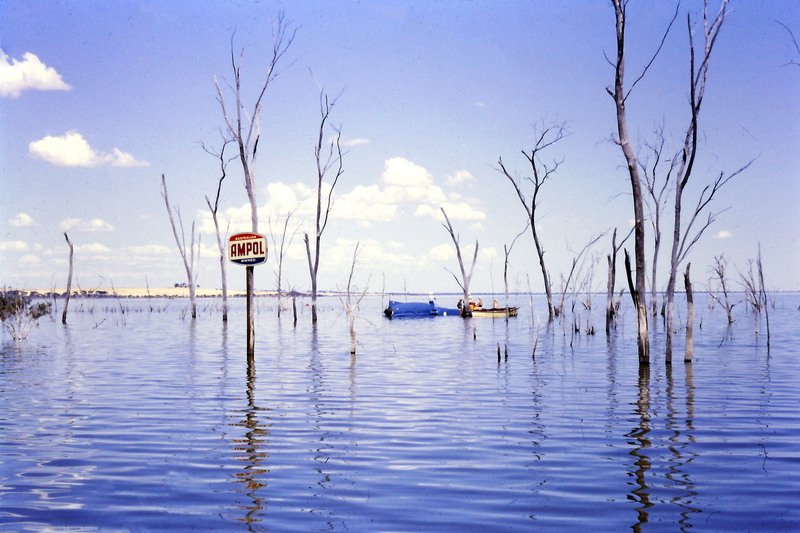 I am now 83 years of age and my children are aged 61, 57 and 52 and my husband is deceased and we had travelled from South Wyalkatchem that morning, just for the drive and to see the set-up. I wish you success with the interpretive centre and I would be pleased to see the display, if possible. Jean has sent is some amazing photos that are very clear and show the actual record breaking run day. Not many people saw the run as it was not expected that Donald Campbell would be able to make a run on the last day of the year because of the weather. 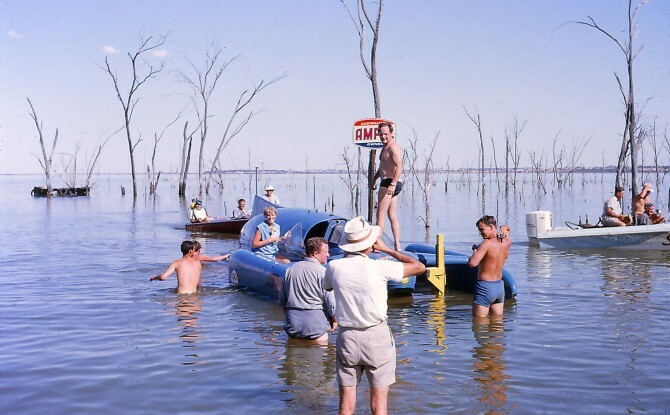 In November 1964 Donald attempted to break the world water speed in my home town of Barmera in South Australia .He did break the Australian record whilst he was there..I was 18 years then and after finishing school was lucky enough to join the Bluebird team as general helper. 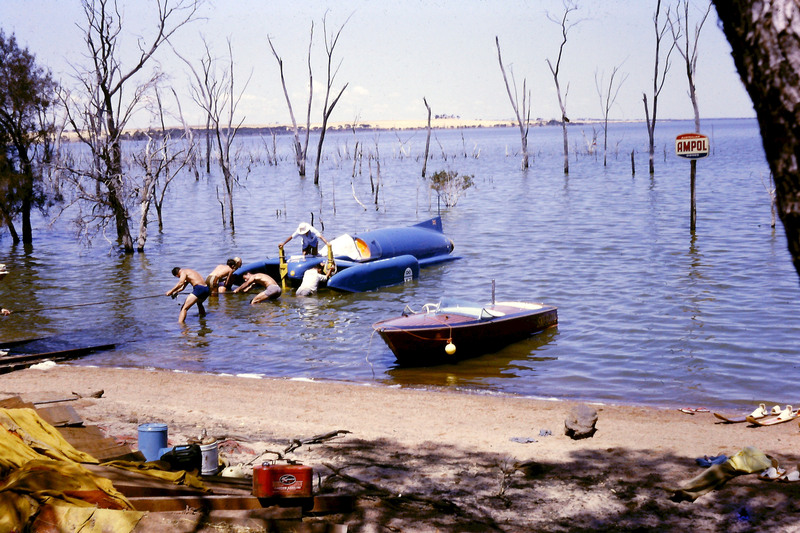 Aging engineer Leo Villa and mechanic Maurie Parfitt needed a young person to lend a hand with various lakeside tasks. On the night before departing Barmera,Donald asked me to join the Bluebird team in the move to Dumbleyung .I drove the Woodies truck carrying the spare jet engine to the rail head at Port Augusta where we were loaded onto the freight train for the West.From Kalgoorlie we drove in convoy to Dumbleyung. It is amazing to see photos of Donald ,Tonia and the Bluebird after 50 years.One of my jobs was to row Donald out to the Bluebird for his record attempts.I have many great memories as a young fellow .I remember Donald’s great concern when I cut my foot on the rudder of the Bluebird ( I still have the scar) and Donald flying me to Wagin to have it stiched up .The fabulous Christmas party with Tonia singing at the Dumbleyung pub .On December 31st Donald had actually departed for a look at coastal lakes near Perth but turned around when he saw the condition of the lake.He came back and I rowed him out to the Bluebird . ;a fabulous day. That afternoon after breaking the record Donald asked me get everyone together and, as a part of his thank you he presented me with his Bluebird cockpit overalls… I still have them.I am now looking for a box of my slides which I took whilst I was there and will add to the photo collection.I would be interested in visiting Dumbleyung again if a reunion is planned. 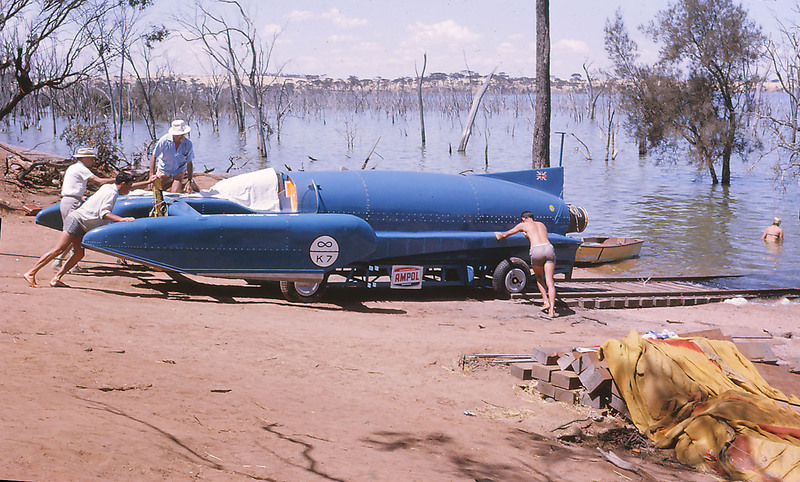 How wonderful to hear your stories from Donald Campbell’s visit to Dumbleyung. We saw the photo of yourself and Brian Caddy on the K7 Project Barmera Facebook page and I intended to get in touch so your message is timely. It is wonderful that all these stories and memories are being collected and collated.We would very much like to have you, Brian and anyone interested to visit Dumbleyung, preferably on 31st December 2014 when we are planning big celebrations and the unveiling of a full scale replica of the Bluebird which is being built at the moment. We are still in planning mode and like any of these projects the organising takes time but we have a wonderful team of people who are all passionate and keen. We are very interested in any stories you have to tell and any photos you might have. I have received a video from a person who was at the Lake when the record was broken and if I am right you might be the young man who is rowing Donald and Tonia out to the Bluebird.I will try and get a link to you to see if you can help with the identifying.